For keeping the quality of the products intact, our quality experts check all levels including procurement of raw materials, production, packaging, and dispatch. With the best in class raw material comes a remarkable finished product, thus we keep a stern check on the material used. Our quality auditors ensure that the products are up to the mark. 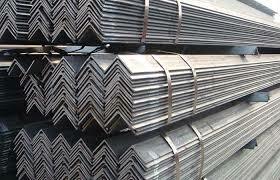 We deal in Mild Steel Angles, which are commonly used for various construction purposes in offices, buildings etc.